Yeah. There’s now Hello Kitty wine. And a cutesy website too. You’d think I’d be outraged against this because I want to keep wine in good standing. But…um…I have been won over by the cuteness. I am a sucker for kawaii. I fail. Sorry. Plus, you know, they’re Italian wines, not French, so I don’t really care all that much anyway. I’m not saying I don’t drink Italian wine (waaaay too many bottles of prosecco in my past to count), but I don’t feel the need to defend it as much. Or, I’m just as obsessed with the damn cat as my fellow St. Louisan, Kimora Lee. If my family is reading this, I would like a bottle to celebrate my birthday. Thank you in advance since I will be too drunk on the pink stuff to thank you on my bday. I find Hello Kitty kind of cute. 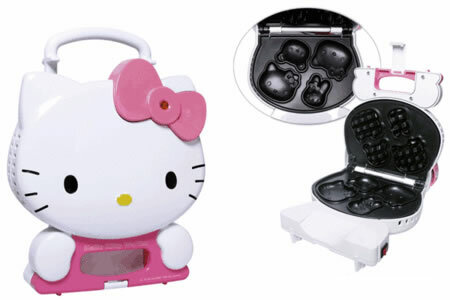 Kind of annoying, as well, thanks to the many Hello Kitty items my family likes to give to me on holidays in a weird inside joke (yeah, when I became a journalist my mom sent me a reporter’s notebook…with a bejeweled Hello Kitty on the front. The scary part is that I actually use it). So, I feel for this guy. I really do. Unless I’m Kimora Simmons and turning out diamond encrusted versions of Hello Kitty, I hope my future life partner will hit me over the head with some reality if I ever become that obsessed with a character that has no point other than its cuteness. I’m going to end this post here before it turns into a discussion of “kawaii” (cute, in Japanese) and the exportation of said sub-culture. This is not my dissertation. This is not my dissertation.